If you are in need of a new kitchen please give us a call. We are a Cabinet Dealer in Terre Haute, IN. We specializes in Kitchen Renovations. We offer a Free Kitchen Design Consultation. I will come to your home and we can go over your existing kitchen. I will take measurements and pictures so I can come up with a new and better kitchen. We can make it more beautiful and more functional than what you have now. 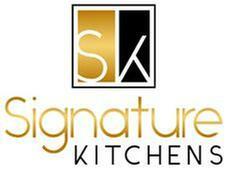 I have over 20 years of construction experience and 12 years specializing in new or renovated kitchens. I am confident that we can improve the look and function of your kitchen. I have several lines of kitchen cabinets, so I can offer you a wide range of choices and all of them at good values.Whatever your kitchen needs are, we are capable and are excited to work with you to create the kitchen of your dreams. So, call today, click on "contact us" and let get together to review your existing kitchen, so I can prepare a new layout and a price. You may have been contemplating a new kitchen but, not aware of what it would cost. Well, I can give you a complete budget price. So, you can make an informed decision as to when or if we can afford to renovate your kitchen. There is no charge for this service, but there are some restrictions to the service. Call today and let&apos;s set up a time.